One evening, the Italian-American bug hit us. We both were in the mood for the type of food I grew up with, but didn’t want to cook it. Cassie and I had different goals in mind that night. I wanted chicken parm. Fried, saucy, cheesy chicken parm. She wanted fresh pasta. 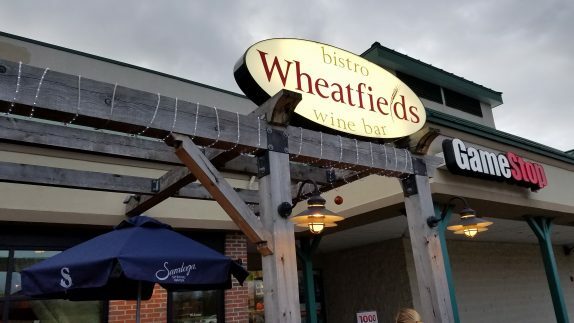 Having dined at Wheatfields in the past, we both had good experience with their pasta, so it was difficult to argue with a nice side of fresh pasta along with some chicken parm (plus: pregnant cravings trump every other craving. That’s just a fact.). It was a Friday evening, but the restaurant didn’t seem terribly full. Our server was running around like crazy, and it took her a few laps to get our drink order. We made it easy and placed our food order at the same time. 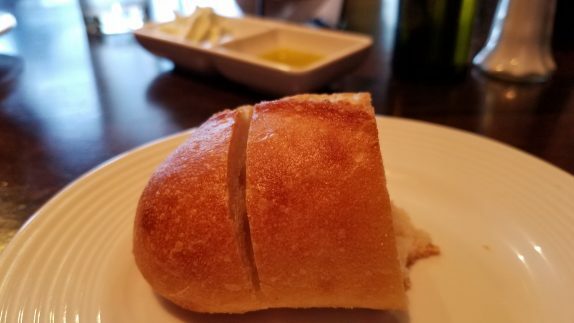 While we waited for our salads, some bread was brought to the table. They give a nice dollop of garlic and rosemary-heavy herb butter in a dish with 2 compartments. The second compartment is for the olive oil and balsamic vinegar on the table. It’s a crowd-pleasing touch that brings you back to the 90s. 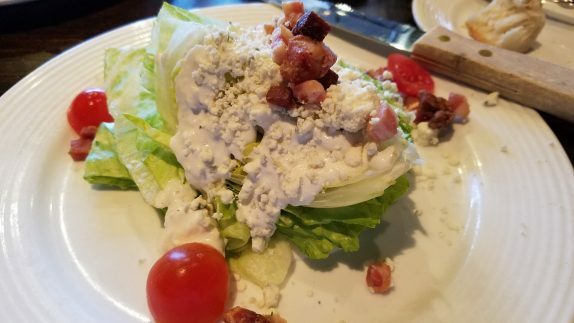 I started with the iceberg wedge (crisp iceberg lettuce, pancetta, tomato, bleu cheese dressing). 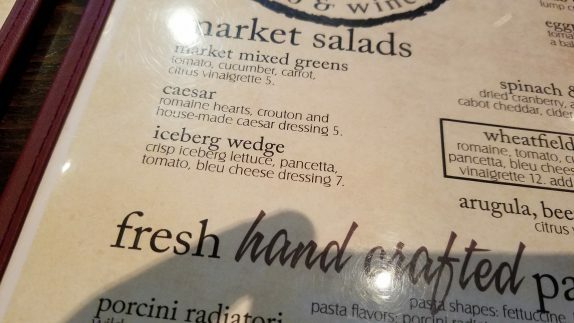 It was as decent a wedge salad as I’ve ever had. The best part of the plate was the pancetta lardons. There was a lot of crumbled blue cheese on top, borderline too much, but I’m not complaining. 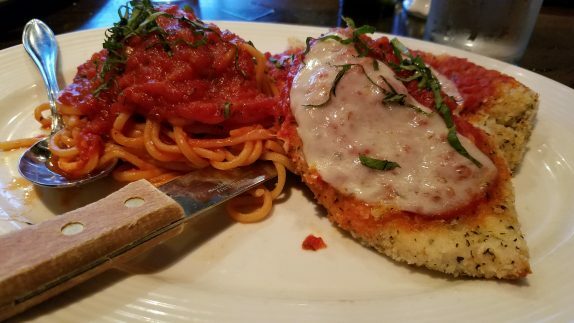 Their “Pan seared chicken parmesan” is described as “Breaded With House Marinara And Handcrafted Linguini”. I was hungry, so I wasn’t going to let the glaring mistake stop the pace of a decent meal. Can’t find the mistake? Look closer. Now, in a million years, I’m not going to be the guy who complains in a restaurant that they served him spaghetti instead of linguine. However, I am going to point out that it’s bizarre that it would be specified on the menu and substituted on the plate with no explanation. Some people have legitimate prejudice over the type of pasta they eat. At first, I declined application of grated cheese on the pasta, but after 2 bites decided that was a mistake, as their marinara lacked salt. Once I mixed in some cheese, it was perfectly respectable fresh spaghetti marinara. The chicken was bothersome. Both cutlets were soggy, even the spots without sauce. 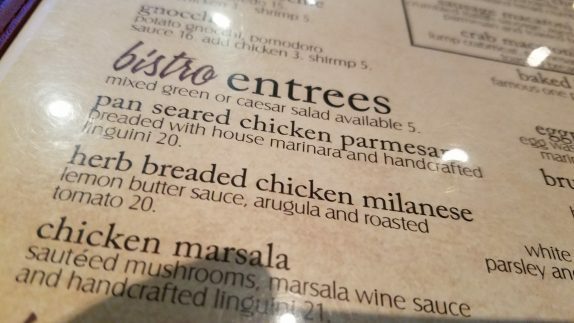 I get the difference between pan seared and deep fried, but, to me, “pan seared” comes with an expectation of at least a little crispness. These cutlets were exactly like my “healthy” baked chicken parm (rolled in seasoned panko and baked 10 minutes per side at 400 °F). Now, I’m not saying that’s how they cooked them; I’m just saying that’s what they’re like. The cheese was sparse. There was only about 1 ounce of cheese split over the two cutlets. This is basically the chicken parm dinner you get when you’re eating healthy and want to cheat but not cheat that bad. Of course, aside from the fresh pasta, you can probably make something comparable for yourself for $5, but sometimes it’s nice to have someone do the work. The major annoyance that night was service. As I finished my salad, a hand swooped by under my right arm and grabbed the plate. Before Cassie finished her salad, with 3 bites left, the server stood waiting a few feet away from our table. It was awkward since Cassie was taking her time; the server was waiting for easily 40 seconds. Our table got cleared immediately once we finished our main dishes, but it took 10 minutes for our server to come back to ask if we wanted dessert, and another 10 minutes to get our check, all the while it hadn’t really gotten much busier than when we were seated. I’m going to share with my readers, chef! Thank you. 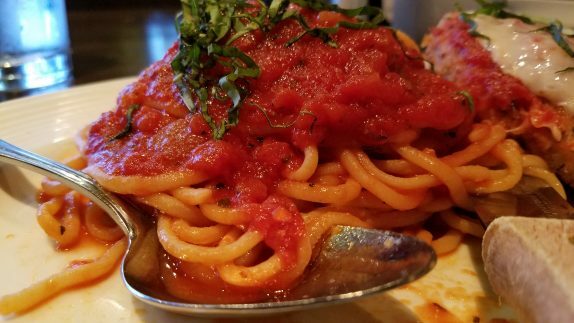 I wouldn’t say I always order it, but I do get in the mood for that more than other Italian-American favorites most often. That just plain looks under cooked, under-cheesed, and unappealing. I also would not have been happy with the “hurry-up-and-wait” service. We once had to wait a very long time (10-15 minutes) before a server asked us about dessert. We were going to order, but the wait made us decline. Would you have ordered dessert if the served hadn’t made you wait so long? The chicken was cooked fine; the way it was cooked wasn’t conducive for a crispy exterior. We weren’t interested in dessert there that night, in fact, I think we wound up stopping for froyo on the way home. 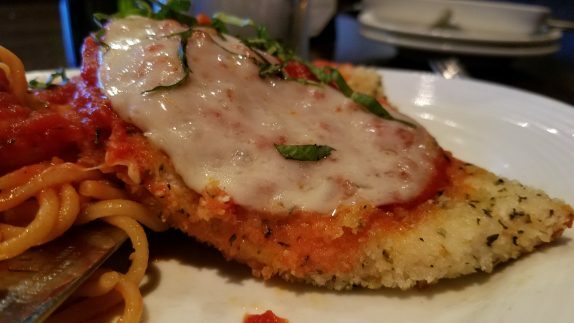 Pale, soggy, chicken parm is a sin. 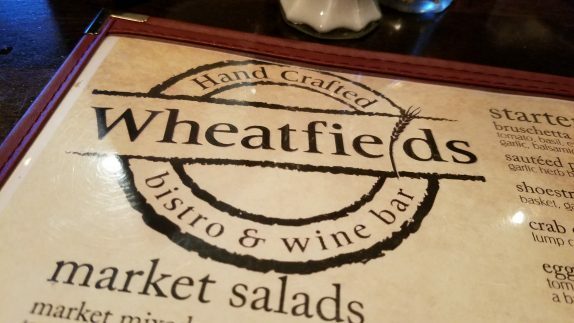 Shame on Wheatfields. I’ve had dinner there three times and it’s been hit or miss. Some dishes are good, others disappoint.